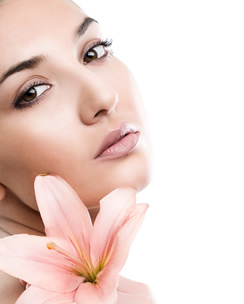 "The new generation of wrinkle fillers are highly safe and effective. I offer a range of the very best products available including Restylane, Belotero and Teosyal.."
Hyaluronic acid is a natural, major component of our skin. Its hydrating, lubrificating and viscoelastic properties make the face well-rounded, smooth and well-defined. These qualities deteriorate with age : the upper and lower cheeks become sunken, wrinkles appear and the face’s oval shape is lost, affecting its overall harmony. In most cases, I achieve the best results for my patients by using a combination of Botox™ and a derma filler, also known as wrinkle filler. The new generation of wrinkle fillers are highly safe and effective. I offer a range of the very best products available, including Restylane, Belotero and Teosyal, which was voted ‘The Best Injectable Product of the Year’ in the Aesthetic Medicine Awards 2008. I like Teosyal. It is a Hyaluronic acid-based, resorbable and of non-animal origin with a remarkable tolerance and perfect integration into skin tissue. The result is immediate and natural. Your skin remains smooth and supple. The cumulative effect of multiple sessions produces an optimal result.